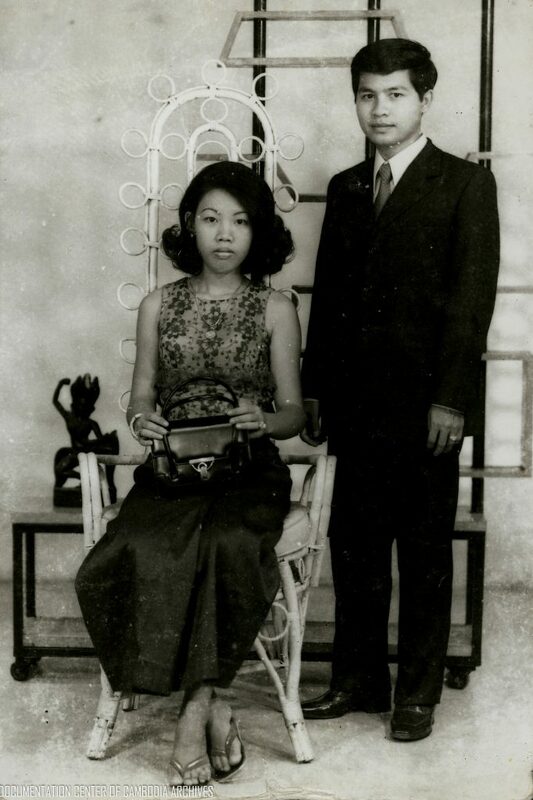 My husband Tep Kim Try was a nurse at a hospital in Phnom Penh. We never met until the day we became engaged. I wasn’t happy and often tried to avoid meeting him. That made Try suspect that I had a boyfriend, when I just didn’t know the meaning of love. We married in 1973. The wedding party lasted until 8 in the evening. When it was time to go to bed, Try and I had a long conversation. This was how we got to know each other. Before our wedding day, I called him “medical man,” but soon we started calling each other “honey.” After a year, I delivered a son who had fair skin and looked like my husband. He died of measles when he was three months old. Try and I were heartbroken; he was our world. didn’t leave with his family, but stayed behind to look after his money. He also believed the Khmer Rouge when they said that everyone could return to the city in three days, so he hid in the house until the soldiers forced him out. He started out to find us several days after the rest of our family had left the city. 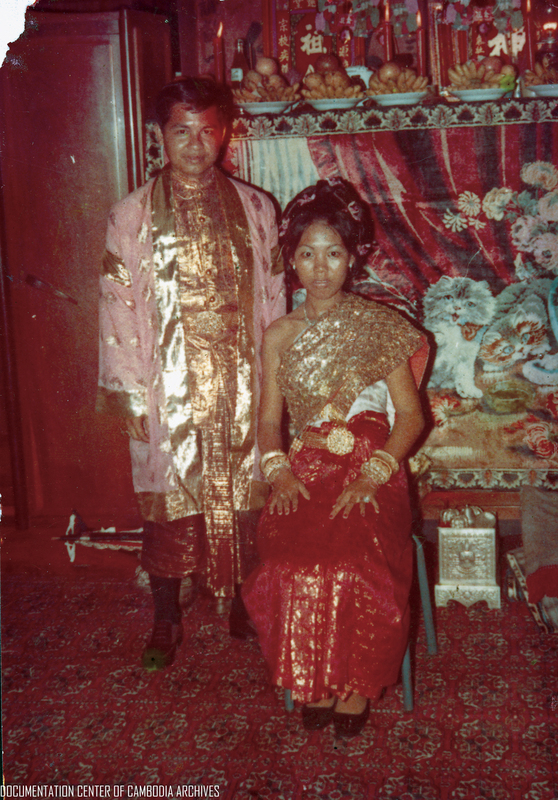 Some of our relatives brought many sacks of money with them when they left Phnom Penh, but my father brought a cyclo. A lot of things were packed onto it, and we exchanged them for rice; it was enough to last us a short while. Pe had long had an illness that made his leg swell, so he could not walk very far. After he met up with our family, his leg developed gangrene and was very painful. He asked me to cut him. At first, I was indecisive because I was afraid it would bring me bad luck. My mother Voal Kak Kim also refused his request and told him that my fate would be bad if he made me do it. But Pe begged me to cut his leg; he said it would make me a strong daughter, and I would be able to do anything in the future. I finally decided to cut open my father’s ankle. I was pregnant at that time and my child was born retarded. 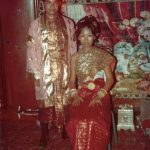 My father died in 1976 from lack of food. I was living in a different village and did arrive to see him before he died. We did not have enough wood to make a coffin for him, and were not allowed to pile earth on top of his grave because the Angkar needed land for transplanting rice. But they did allow us to chop down bamboo to weave and cover the corpse, which we laid in the field. portion of the crop, so I was told to catch them. My unit chief became very angry with me because I was scared of mice and hardly caught any. My husband knew this, so he trapped some mice and hid them in the field. Then he gave me a signal so I could find them. I walked around with the mice and everyone thought I had caught them. I was also afraid of ghosts, but because we were hungry, I would walk to the lake alone at night to catch snails and crabs, and pull out water lilies. My third child, Phirom, was born when the country did not have enough medicine or nurses, and he was constantly sick. Even when he had reached the age of three, Phirom still could not walk. One time, I was poisoned by the potatoes I ate for lunch. I asked a friend to coin me [a traditional cure in Asia where a coin is rubbed vigorously on the chest and back], but it did not help much. My friend then took me to the hospital, where cadre Rin gave me something to drink. After the first mouthful, I shouted that it was petroleum. Cadre Rin shouted back that it was medicine, but then smelled petroleum and had the bottle checked. She finally realized that I wasn’t lying and said someone must have put a bottle of petroleum near her hands. Phnom Penh, came home with my husband and played football. Keang won the game, which made the village chief want to know more about his biography. Before long, the Angkar ordered Keang and two other former teachers to carry sand in another village. 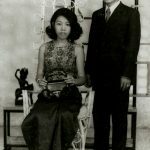 My brother’s disappearance broke my mother’s heart. The continual disappearances of people made me worried about my husband; everyone in the village knew that he had been a nurse. One night during the transplanting season, my husband did not come home, although most other people had. 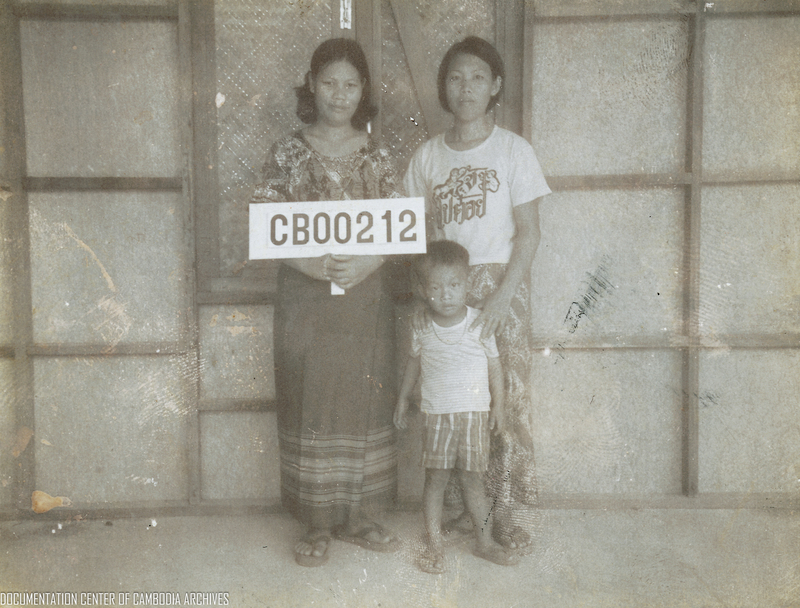 When I arrived at our hut, my mother was crying, saying that my husband had been captured. I fainted the moment I heard the news. When I came to, my mother said a cadre named Phon tied Try’s arms behind his back and took him away in a boat. Phon then came to our house to look for Try’s watch. I lied and said I could not find it. After my husband disappeared, I lost my courage. My mother became angry with me and reminded me of Try’s words: I should fight and struggle if he was not with me. These words woke me up and I began eating and working as usual. Later, I shaved my head so that I could pray for my husband. At the beginning of 1978, my mother felt very sick, so I asked the Angkar for permission to work near my home so I could look after her. My mother had a strange illness in which her belly swelled like that of a pregnant woman. She was always feeling very hungry, too. A month later, she died horribly. parents were sent back to the village. Hospitals were closed. Then the village and unit chiefs ran away, so adults began coming back, too. People tried to grab as much as food as possible from the mills and warehouses. My older sister Chorn came home in early 1979; I had not had any news of her for two or three years. I almost could not recognize her when we met, she was so thin. She had survived by changing her name and working in a mobile unit where no one knew her. Today, I live in France, but my heart is still with my husband in Cambodia. Whenever I eat the bitter sdao leaves, I think of him. They remind me of when I was pregnant and craved them. My husband climbed up a tree to pick sdao just so I would have what I wanted to eat. 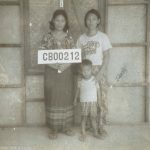 This story is based on the prize winning essay entitled “Unforgettable” that Tep Suy Eang submitted to the Khmer Rouge History Preservation Forum sponsored by the Khmer Writers Association and Documentation Center of Cambodia in 2006.